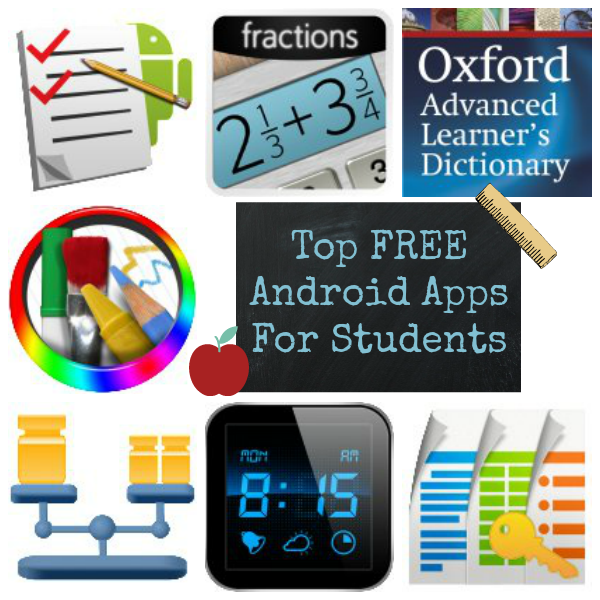 7 FREE Apps for Students: Oxford Dictionary ($29.99 reg) + More! Android and Kindle users, be sure to head on over to the Amazon Digital Deals page today to score several FREE apps that will be perfect for students heading back to school this Fall. You don’t have to be a student to download them free, but hurry because several are valid for a limited time only. Always remember to verify price before completing your order! Super Low Rate Plan from Republic Wireless: $19/Month Unlimited Data, Talk & Text! This is a Sponsored post written by me on behalf of Republic Wireless. All opinions are 100% mine. Have you heard the recent buzz about a super new way to save on your smartphone bill? 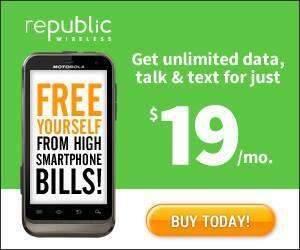 It's a $19 per month rate plan from Republic Wireless with unlimited data, talk and text per line. That can cut the cost of smartphone ownership from over $100 per month (what most people pay now) down to about 60 cents a day! Not only is this a great way to save on your phone cost, but it's also perfect as an inexpensive starter phone for the kiddos, grandparents, or anyone just looking to enter the smartphone world without a big commitment or expense. You know Daisy & I are ALL about saving $$$ and we think this looks like something to consider! 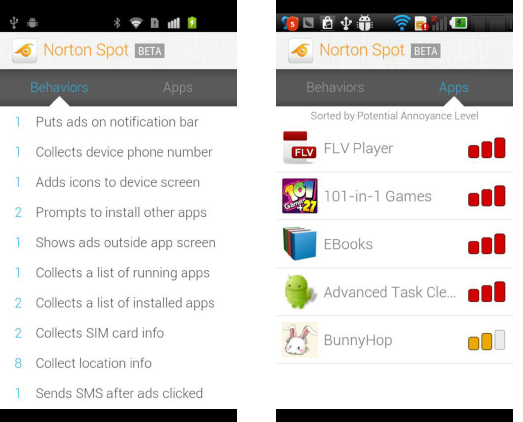 Find and Remove App Spam Madware with Norton Spot for Android! The hubby and I were super excited to get brand new Samsung Galaxy S3 Android phones recently and went a bit crazy downloading all the free apps we’d been lacking on our old phones. Games, shopping tools, music players, flashlight apps, barcode scanners…you name it we downloaded them! 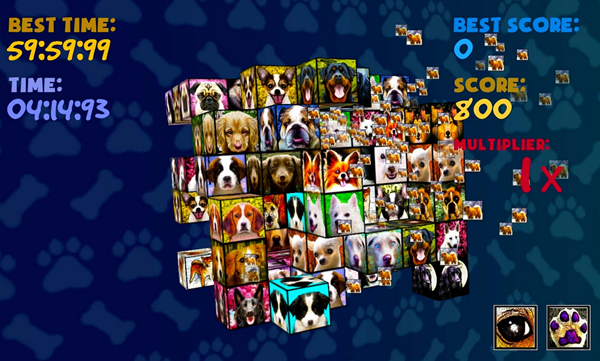 It didn’t take long before we started to realize that many free apps can be pretty spammy and overly-aggressive with those unwanted ad popups, and it’s hard to know which ones to watch out for. Turns out there’s something called Madware, which is mobile adware hidden in many apps. It only affects Android phones, and even some of the most popular apps out there, including Angry Birds, Brightest Flashlight Free and Sams Club apps to name just a few, contain Madware! We were pretty happy to learn about a handy tool that helps find and remove Madware apps, called Norton Spot. It’s developed by the same people who make all the other Norton security, privacy protection and web software we’ve all come to trust, and you can download Norton Spot for free, right from Google Play (formerly known as the Android Marketplace). Norton Spot is an ad blocker, detector, killer and stopper. It also protects your privacy which is something every parent needs to be aware of, too. Once installed, you can count on Norton Spot to identify apps that don’t respect your time or privacy and remove them. It shows you the apps you need to be concerned about along with the suspicious or undesirable behaviors you might not be aware of. If you’ve got an Android phone, and especially if your kiddos do, I recommend you download Norton Spot for free and start using it, too! FREE Amazon Santa App for Android and iPhone! 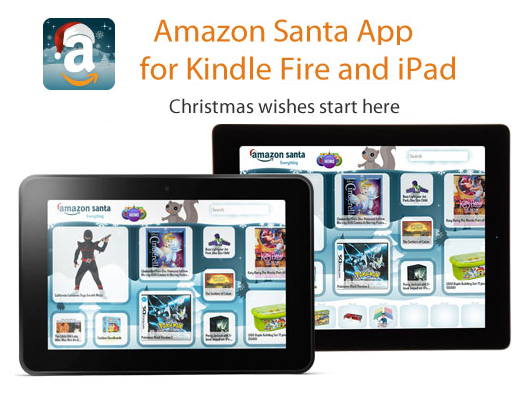 Snag this FREE Santa App especially for the holidays from Amazon! A fun way for your kids and loved ones to create their Holiday Wish List, then share it with the grandparents or any other contacts you choose. Completely secure and only available to people you share it with. Available for free download on iPhone, iPad, Kindle Fire, and Android devices. Visit Amazon here to get it for Android, or check iTunes for the Apple version!